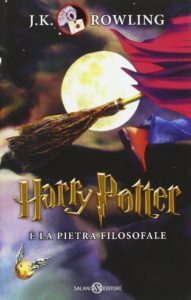 In 2014 the publisher of the Italian translations of the Harry Potter books, Salani Editore published a significantly revised edition. They comment quite extensively on the revision on their website; fundamentally, the justification for the revision is that translating a series one book at a time with no knowledge of what is to come is difficult. Revising the translations allowed them to produce better literature and one can hardly fault them for that! A revision like this does put collectors in a bit of quandry though. Are these editions that “count”? They occupy a bit of a grey area in terms of translation: Marina Astrologo (PS and COS) and Beatrice Masini (the rest) are still considered the translators of these editions, but they did not do the revision work. That was done by Stefano Bartezzaghi who has been dubbed curatore, or “curator” of the revisions, although they were edited by a committee of several individuals including both original translators. According to Salani, in some respects the revisions are quite “profound”. According to the terminology I’ve established here on Potterglot, this would be considered a “variant”; whether it “counts” for any given collector is up to them and their criteria! Because my interest is primarily linguistic, they count for me and I’ve added this Philosopher’s Stone edition to “the List”. My focus as a linguist has never been on translation—perhaps that’s a surprise since the public at large often has difficulty conceiving of what else a linguist might do! In fact, translation is very seldom what linguists do, but that’s a post for another time. Nonetheless, linguists very often work with translations and so, naturally, I found myself drawn to Stefano Bartezzaghi’s notes at the beginning of this new edition. It’s not readily available online, so I thought I would post it here along with a translation. There is no available translation that I’m aware of so I decided to do it myself; but I don’t speak Italian and have never studied it in depth… not circumstances likely to intimidate any linguist worth their salt! I started with Google Translate, of course. You don’t need to be a linguist to be savvy enough to know it’s a good starting point! But, as profoundly useful as Google Translate is, it does a terrible, terrible job. Don’t get me wrong! I have the utmost respect for the people behind Google Translate and it is one of my most-loved and most-used web-tools. But translation is hard. Ridiculously hard. We talk about translation as a single concept when we should, at this point, be distinguishing between quite different purposes. If communication is like a “two-way street”, Google Translate is a rough-hewn path through the underbrush. It serves a functional purpose to get you from point A to point B and it generally gets you there, although there might be a few branches in your face and a couple of back-tracks. It’s certainly better than ‘machetteing’ your way through on your own! “Localization”—making instructions and interfaces available in multiple languages—is kind of like a highway: fast and efficient, but not much to look at. Real literary translation is like an ancient European shopping street—like Diagon Alley! There are twists and turns, textures and character: it’s as much a destination as it is the means to getting somewhere else. 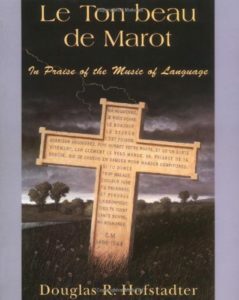 I don’t think there’s any more accessible or eye-opening introduction into the challenge of translation than “Le Ton Beau de Marot” a book by Douglas Hofstadter. It literally changed my life: it inspired me to go to grad school and I eventually studied with and got to know Hofstadter. Despite the title being in French, the book is in English. It is an exploration of the complexities of translation through more than forty translations (mostly by Hofstadter himself) of a single poem “Ma Mignonne” by Renaissance French poet, Clément Marot. I can’t recommend the book enough to anyone with even a slight interest in translation. I digress. My original intent was just to use Google Translate as a base reference and then just smooth out the language enough for the text to be easily legible for readers here. Funnily enough, I found myself drawn into a fascinating self-referential meta-space, struggling with similar challenges to those the words I was translating were describing. And I decided to wallow there for a while, weighing options, researching etymologies and generally savouring concepts that I haven’t entertained in quite a long time. It’s still not a very good translation. Let’s call it a “country dirt road”. Dusty and bumpy, but at least you can drive on it and you might catch a glimpse of a scenic landscape here and there. When speaking about the Harry Potter saga—as J.K. Rowling conceived it from start to finish in the early 1990s through 2007—we are speaking about a unique literary and editorial experience. Quando parliamo della saga di Harry Potter – così come fra l’inizio degli anni Novanta e il 2007 J.K. Rowling l’ha concepita, incominciata e completata – ci riferiamo a un’esperienza letteraria ed editoriale unica. It is not only unique because the events that took place at Hogwarts are a global success, or because of the (rare) convergence of public and critical favour. It is also unique because of how it was structured. Unica, non solo per il successo planetario riscosso dalle vicende della scuola di Hogwarts, o per la convergenza (rara anche quella) dei favori del pubblico e di quelli della critica. Unica anche per come è costruita. It isn’t until you have put the text under a microscope that you appreciate the precision with which the author considered the unity of all seven volumes that make up the work, right down to the minutiae. So many of us know young readers around the world who, through the Harry Potter books, discovered the thrill and pleasure of reading that makes one a true reader. It is that ‘aha!’ moment that you experience when you suddenly notice a detail that secretly connects to another detail you read many pages before. Aha! A word that in the first book readily flows out of the mouth of the wand-maker, Ollivander, but won’t be exactly comprehensible in all its consequences until right at the end of the last book. But who remembers it then? Bisogna essersi soffermati sul testo con il microscopio per rendersi conto della precisione con cui l’autrice ha avuto in mente da subito l’unità dei sette volumi che compongono l’opera, sino alle minuzie. Saranno tanti, tantissimi, chissà quanti i piccoli lettori in tutto il mondo per i quali la lettura della saga di Harry Potter è stata la prima esperienza di quel brivido sorridente di piacere – aha! – senza il quale non si è davvero lettori. È il brivido che si prova quando all’improvviso si nota un dettaglio che si collega quasi segretamente a un altro dettaglio, di cui si è letto magari molte pagine prima. Aha! Una frase che nel primo volume quasi scappa dalla bocca di Ollivander, il venditore di bacchette magiche, sarà esattamente comprensibile, in tutte le sue conseguenze, solo proprio alla fine dell’ultimo volume. Ma chi può ricordarsene? Over the period the story takes place, J.K. Rowling’s protagonists grow up with their peers: readers who, in the 1997 release, were eleven years old and experienced their teenage years with Hogwarts students. Along with Harry, Hermione and Ron, they had their first independent contact with the adult world, their first sentimental experiences, suffered their first betrayals of friendship and their first injustices at school. As they grew, they saw how children become the equals of adults. They began to understand adult problems and how they were able to help—even decisively—to solve those problems and sometimes how they even had to replace adults. Nel tempo narrato dalla saga, i protagonisti di J.K. Rowling diventano grandi e si rivolgono, innanzitutto, ai loro stessi coetanei: ai lettori che alla pubblicazione del primo volume, nel 1997, avevano undici anni e hanno poi attraversato tutta la loro teen age in compagnia degli studenti di Hogwarts. Assieme a loro hanno avuto il primo contatto autonomo con il mondo degli adulti, le prime esperienze sentimentali, hanno subito i primi tradimenti di amicizia e le prime ingiustizie scolastiche; crescendo hanno visto gli adulti diventare, in prospettiva, meno grandi; hanno incominciato a capire i loro problemi, hanno potuto aiutarli – anche in modo decisivo – a risolverli, a volte hanno dovuto addirittura sostituirli. The first book, Harry Potter and the Philosopher’s Stone, is the story of an unhappy, orphaned little boy who redeems the Muggle world and discovers his true self and the parallel world he belongs to. It is a book for those just coming out of childhood and it is a varied, spirited story that generates a little fear, but counters it with a heart-warming depiction of friendship. The last book is a story of death, terror and horror, of perhaps inescapable loneliness, of struggle (individual, obstinate, almost hopeless struggle) against a seemingly invincible force overpowering the world. Il primo volume della saga, Harry Potter e la Pietra Filosofale, è la storia di un ragazzino orfano e infelice che si riscatta dal mondo dei Babbani e scopre chi è veramente e a quale mondo alternativo e parallelo appartiene. Un libro per chi è appena uscito dall’infanzia e gode a seguire una vicenda variata, spiritosa, che fa un po’ di paura e riscalda con la rappresentazione dell’amicizia. L’ultimo volume è una storia di morte, di terrore e orrore, di solitudine forse irrimediabile, di lotta (individuale, ostinata, incompresa, quasi senza speranze) contro la forza apparentemente invincibile dell’andare a rotoli del mondo. These are all reasons why the Italian publisher felt it necessary to revise the translations of the seven volumes. I now add the last and that is: the volumes were hand-translated as they came out under rigid time pressures. Queste che ho elencato sinora sono tutte le cose da tenere presenti (meno una) per capire come mai l’editore italiano ha ritenuto necessario rivedere le traduzioni dei sette volumi. Aggiungo ora l’ultimo tassello, ed è questo: i volumi sono stati tradotti a mano a mano che uscivano, e a tambur battente. Now we gather all the elements I’ve spread on the table so far. Seven very different but closely related volumes released over ten years: they are like seven mega-chapters of a mega-book which we now commonly call ‘Harry Potter’. Ora raduniamo tutti gli elementi che ho sinora sparso sul tavolo. Sette volumi usciti in dieci anni, molto diversi fra loro ma strettamente interrelati, sono come sette mega-capitoli di un mega-volume solo, che ora intitolerò convenzionalmente Harry Potter. The translation of a book normally proceeds from the first word to the last. The translation of Harry Potter did not work that way. It could not: when the first mega-chapter was translated, no one had read the second mega-chapter (indeed, no one had written it yet!). Only when translating the seventh, does the translator know the work in its entirety. In practice, this means the translator is working blind and is denied the ability to properly weigh the decisions they must make. La traduzione di ogni libro, normalmente, va dalla prima parola all’ultima. La traduzione di Harry Potter non ha funzionato così. Non ha potuto: quando è stato tradotto il primo mega-capitolo, nessuno aveva letto il secondo mega-capitolo (anzi, nessuno lo aveva ancora scritto!). Soltanto al momento di affrontare il settimo, il traduttore ha conosciuto l’opera nella sua interezza. Nella pratica questo ha significato tradurre alla cieca e non avere la possibilità di scegliere con la necessaria ponderazione. For example: in the translation of a children’s book, one tries to produce names as evocative as they are in the original. That’s why Mickey Mouse is called Topolino in Italian; it is the reason why, in Harry Potter, Neville Longbottom (a boy raised by his grandmother who is seemingly devoid of the constitution to survive the vicissitudes of Hogwarts school) has been named Neville Paciock1. Who could have suspected the heroic evolution Neville would undergo in subsequent books? The personalities of the characters in the first book were not forever fixed. It’s as if Ciccio2, Nonna Papera‘s assistant, ended up winning the 100 yard dash at the Olympics: his name would become grotesque, right? Un esempio. Nella traduzione di un libro per l’infanzia si cerca di rendere i nomi propri evocativi quanto lo sono nell’originale. È il motivo per cui Mickey Mouse in italiano si chiama Topolino; in Harry Potter è il motivo per cui l’insospettabile Neville Longbottom (bambino cresciuto nella bambagia dalla nonna e apparentemente privo di un adeguato bagaglio nervoso e muscolare per sopravvivere alle peripezie della scuola di Hogwarts) in Italia ha preso il nome di Neville Paciock. Chi poteva sospettare l’evoluzione che il personaggio avrebbe avuto nei volumi successivi, giungendo al più puro eroismo? Il carattere dei personaggi del primo volume non era fissato per sempre. È come se Ciccio, l’assistente di Nonna Papera, finisse per vincere i cento metri piani alle Olimpiadi: il suo nome diventerebbe grottesco, no? Once the saga was completed when the seventh book came out, some translation choices panned out but others were left wanting. The publisher has thus decided to revise the existing translations—even profoundly—but without recommissioning them. The task was entrusted to me, in close collaboration with editor Viola Cagninelli and with the support of a committee comprised of: Marina Astrologo and Beatrice Masini who translated the first two and other five volumes respective; the two editors who edited the seven volumes for Salani, Serena Daniele and Daniela Gamba; the curator of a Harry Potter site, Maria De Toni; President of the National Harry Potter Society, Laura Faggioli; the author of “The Philosophy of Harry Potter”, Simone Regazzoni; the chair of Salani, Luigi Spagnol; and the editor-in-chief, Mariagrazia Mazzitelli. Il completamento della saga, una volta uscito il settimo volume, ha confermato alcune scelte di traduzione ma in altri casi ha suggerito di cercare alternative. L’editore ha così deciso di rivedere le traduzioni esistenti: anche profondamente, dove necessario, ma senza rifarle da capo. Il compito è stato affidato a me, in stretta collaborazione con l’editor Viola Cagninelli, e con l’appoggio di un comitato a cui hanno partecipato Marina Astrologo e Beatrice Masini, che hanno tradotto rispettivamente i primi due e gli altri cinque volumi; le due editor che hanno curato i sette volumi per Salani, Serena Daniele e Daniela Gamba; la curatrice del sito di Harry Potter, Maria De Toni; la presidente della Società Nazionale Harry Potter, Laura Faggioli; l’autore dello studio Harry Potter e la filosofia, Simone Regazzoni; il presidente di Salani, Luigi Spagnol e il direttore editoriale, Mariagrazia Mazzitelli. We started to re-read Harry Potter, this time with an inkling of the where the threads J.K. Rowling started to weave together from the first page of the first book would eventually get tangled-up. At each crossroads, as is often the case in fairy tales and labyrinths, there were three paths we could take. The first was to maintain the status quo: to keep the existing published translation that the Italian public already intimately knows. The second was to adopt the original English text: we come to meet the charismatic Albus Silente3 who is ‘Albus Dumbledore’ in the original English. When revising the Italian edition, should we keep the translation choice already made or return to the source English. Or go the third way and choose a completely new name? What about for Severus Piton4, who, in the original, is ‘Severus Snape’? Or ‘Minerva McGonagall’, whose apparent severity the translator wanted to express in the Italian edition through the rocky adaptation, McGranitt? Abbiamo incominciato a rileggere Harry Potter con il senno di poi, il senno di chi sa dove si annoderà, alla fine, ognuno dei fili che J.K. Rowling ha incominciato a tessere dalla prima pagina del primo volume. Subito, come nelle fiabe e nei labirinti, ci sono apparse tre vie. Ecco dalla prima (la via della traduzione già pubblicata, quella grazie alla quale il pubblico italiano ha conosciuto i personaggi e le loro vicende) venirci incontro il carismatico Albus Silente, che sulla seconda via – quella del testo originale, con tutto il rispetto che merita il testo originale – si chiama invece Albus Dumbledore. Rivedendo l’edizione italiana, va mantenuta la scelta già fatta, occorre ritornare al nome originale o percorrere una terza via e scegliere un nome del tutto nuovo? E per Severus Piton, che nell’originale si chiama Severus Snape? E per Minerva McGonagall, la cui almeno apparente severità voleva essere espressa, nell’edizione italiana, dal roccioso adattamento McGranitt? It seemed clear to us that, a priori, none of these three paths was by itself the correct one. Let’s just consider the choice of Dumbledore’s Italian surname, Silente: it seemed appropriate for an eccentric wizard who was also solemn and able to keep his enemies at bay. How could one know that later J.K. Rowling would say of Dumbledore, “I imagined him as an easy-going wizard, always on the move, continually humming to himself”; ‘Dumbledore’, in English is the archaic name for ‘bumblebee’. Anything but ‘silente‘! Yet, history demonstrated that Albus’s silences played a decisive role in the adventures of Harry Potter and the fight against dark magic. Ci è parso subito chiaro che a priori nessuna delle tre strade era di per sé quella giusta. Prendiamo proprio il caso di Silente. Al momento di scegliere il cognome italiano, che era parso adeguato per un mago bizzarro ma anche solenne e capace di tenere in soggezione i suoi nemici, non si sapeva quello che J.K. Rowling avrebbe poi dichiarato: «Lo immaginavo come un mago benevolo, sempre in movimento, che mormora continuamente tra sé e sé»; dumbledore, in inglese, è il nome arcaico di bumblebee, il calabrone. Altro che ‘Silente’! Eppure, la storia dimostrerà che proprio i silenzi di Albus hanno avuto un ruolo determinante, e anche negativo, nelle avventure di Harry Potter e nella lotta contro la Magia Oscura. We wanted to pick and choose on a case-by-case basis. We agonized over the ambiguity, reasoning, feedback and insights in every decision: delightful torments in a world where there are worse worries to plague sleepless nights. Toccava scegliere e abbiamo scelto, caso per caso. Ogni decisione è costata un buon numero di lambiccamenti, ragionamenti, consultazioni, approfondimenti; tormenti peraltro deliziosi, perché al mondo ci sono preoccupazioni peggiori a cui pensare nelle notti insonni. As you would hope, the third path is the one we travelled the least. Those few times, however, proved precious. The worst situation we needed to escape was the names of the four Houses that Hogwarts students are divided into. Their Italian names only partially followed their English counterparts: they added, for example, colour designations that were completely absent in the English and which turned out to partly contradict the official House colours. We are convinced that the solution that we found eliminates the obligation of being faithful to a pattern (the colours) that has no particular justification in the text without creating a cognitive dissonance for Italian readers. La terza via è quella che abbiamo frequentato meno, come auspicavamo. Quelle poche volte, però, si è rivelata preziosa. L’abbiamo percorsa per uscire dalla situazione forse più preoccupante, che era quella delle quattro Case in cui si dividono gli studenti di Hogwarts. I loro nomi italiani seguivano solo in parte i corrispondenti inglesi: aggiungevano, per esempio, indicazioni di colore del tutto assenti nell’originale, cosa che poi si è rivelata in parte contraddittoria con i colori ufficiali di ogni Casa. Si vedrà qual è la soluzione che abbiamo trovato: ci ha convinto, perché non rivoluziona le abitudini del lettore italiano ma si sottrae all’obbligo assoluto di essere fedeli a uno schema (quello dei colori) che non ha particolari giustificazioni nel testo. Other areas where knowledge of the entire work required us to rethink the first editions were: the “technical” lexicon of the spells invented by J.K. Rowling; the taxonomy of fantastic beasts (so the folletti5 of the first editions have been returned to the original ‘goblins’); certain customs, such as the names and surnames that begin with the same initials … minute details which J.K. Rowling suddenly imbues with unexpected importance. Finally, we came across a number of small misunderstandings and inconsistencies that just didn’t make sense. There may be some things that have escaped our attention, but the issues that we have noticed, we have resolved to the best of our abilities. Altri campi in cui la conoscenza dell’intera opera ha richiesto di ritoccare la prima edizione sono stati il lessico ‘tecnico’ degli incantesimi inventato da J.K. Rowling; la tassonomia delle creature fantastiche (così i ‘folletti’ della prima edizione sono tornati a essere dei ‘goblin’, come nell’originale); certe usanze, come i nomi e i cognomi che incominciano con la stessa iniziale… Questioni di dettaglio, a cui però capita che J.K. Rowling dia all’improvviso un’importanza insospettata. Ci siamo infine imbattuti in quella fisiologica quantità di piccole cose che non andavano, fraintendimenti e incoerenze. Qualcosa ci sarà magari scappato, ma i problemi di cui ci siamo accorti li abbiamo risolti, per come siamo stati capaci. Sometimes we seemed to lean in one direction only to find ourselves unbalanced on the other; we expected to choose a certain path and after due consideration, ended up taking the opposite one. We have, however, never faltered on our high-level goals. We wanted the new edition of Harry Potter to be closer to the spirit of the original. We wanted it to be (as it is) directed at a somewhat sophisticated audience without neglecting the voices of the original readers: those of children, of movie enthusiasts, of the most devoted fans, of those acquainted with the finest nuances, of the readers eager to escape. Above all, we wanted to convey the intention behind the words, so that is what we tried to do. A volte ci sembrava di inclinare da una parte e invece ci siamo poi sbilanciati dall’altra; ci aspettavamo di prendere una certa strada e ci abbiamo ripensato, imboccando quella opposta. Non abbiamo mai cambiato idea, invece, sui nostri obiettivi generali. Volevamo che la nuova edizione di Harry Potter fosse più vicina allo spirito dell’originale. Volevamo che anche nella sua forma si rivelasse (come è) indirizzata a un pubblico di non soli giovanissimi. Senza trascurare la voce dei lettori della prima ora, quella dei bambini, quella degli appassionati dei film, quella dei fan più affezionati, quella dei raffinati conoscitori di ogni sfumatura, quella dei lettori invece più desiderosi di evadere, noi volevamo ascoltare soprattutto le ragioni del testo. Così ci siamo sforzati di fare. In previous paragraphs, as in the last one, I have often used the plural, ‘we’. They aren’t ‘royal we’s that really mean ‘I’. They are ‘we’s that include the Committee and friends of the publishing house who I have had the honour to work under. They are ‘we’s that, first and foremost, include Viola Cagninelli, with whom working was as enjoyable as it was instructive. Contrary to popular belief, it is not easy to work on something you are passionate about with precision and objectivity. This enterprise owes much—almost everything—to Viola’s precision, objectivity and passion. Nelle frasi precedenti, come nell’ultima, ho usato spesso il plurale. Non era uno di quei ‘noi’ che vuole dire ‘io’. 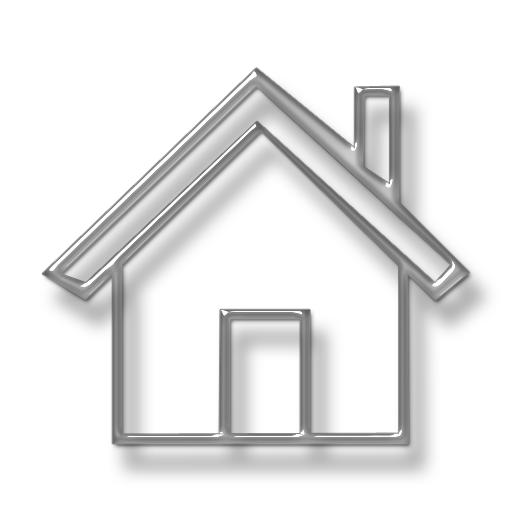 È un noi che comprende il Comitato e gli amici della casa editrice che mi hanno serbato l’onore di presiederlo. È un ‘noi’ che include prima fra tutti Viola Cagninelli, con cui lavorare è stato tanto piacevole quanto istruttivo. Al contrario di quanto dica il luogo comune, non è facile lavorare con la precisione e la freddezza necessarie su ciò che appassiona: alla precisione, alla freddezza e alla passione di Viola questa impresa deve molto, quasi tutto. finché il cervello non ci andrà in dissesto. 1 Paciock (from Paciocco, an Italian surname) evokes the image of a loveable, chubby-cheeked child to Italian speakers. 2 Ciccio is the Italian name for the Disney character ‘Gus Goose‘, the grand-nephew and farmhand of ‘Grandma Duck’ (Nonna Papera in Italian). He is known for being slow and lazy and ciccio in Italian is a derogatory nickname like ‘tubby’, ‘pudge’ or ‘chubs’ derived from ciccione which means ‘fat’. 3 Silente is Italian for ‘silent’. 4 Piton derives from the Italian word for ‘python’, pitone. 5 Folletti is a better translation for ‘leprechauns’.